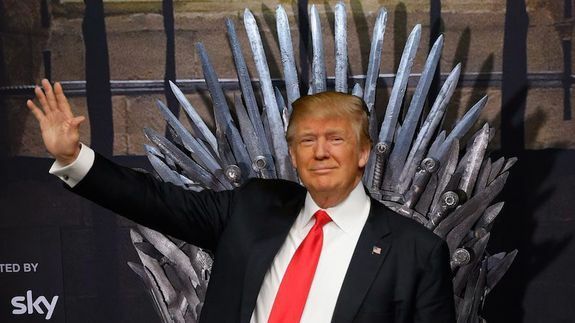 How the GOP campaign is turning into 'Game of Thrones' - trendistic.com: ever tried. ever failed. no matter. try again. fail again. fail better. Warning: Some spoilers ahead for Game of Thrones Season 6. With Donald Trump now the presumptive GOP nominee, you’d think the party would coalesce around him as the candidate for the general election. Especially given the fact that the party’s opponent in November will almost certainly be Hillary Clinton, subject of much Republican ire for more than two decades.